Grew up with ITK Inowroclaw (Poland) juniors. Made his debut with ITK Inowroclaw during the 2003-04 season. Signed for the 2005-06 season by Polpak Swiecie. Signed for the 2006-07 season by ITK Inowroclaw. Signed for the 2007-08 season by SPEC Polonia Warszawa. Signed for the 2008-09 season by Stal Ostrow. 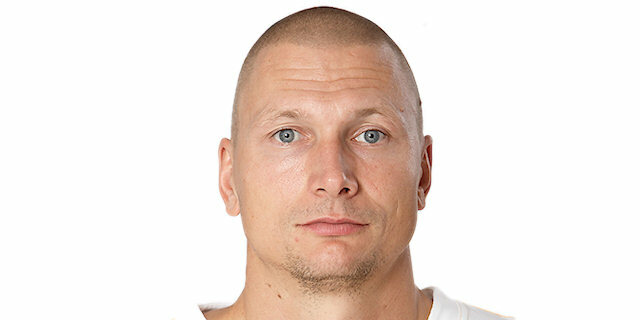 Signed for the 2009-10 season by Anwil Wloclawek. Signed for the 2010-11 season by Asseco Prokom Gdynia. Signed for the 2011-12 season by Anwil Wloclawek. Moved to Ukraine for the 2013-14 season, signed by MBC Mykolaiv. In March’14 moved back to Poland, signed by AZS Koszalin. Signed for the 2016-17 season by Arka Gdynia. Played the 2006, 2009, 2010, 2012 and 2013 Polish All Star Game. Led the 2006-07 Polish 1Liga in scoring (19.5 ppg.). Led the 2011-12 Polish League in steals (1.7 spyg).